The former helipad site in Tilekiln – proposed new site for the U’s new stadium. Hastings United Football Club, which announced its intention of setting up a new stadium last year, has identified the old helipad site in Tilekiln, where the Tesco superstore is located, as its preferred future headquarters. In a statement it says it is in discussion with Hastings Borough Council about its plan to relocate “to a site which sits fully within the Borough of Hastings on which a new purpose-built stadium with off-road parking would be constructed, along with a second floodlit grass pitch and floodlit 3G pitch. “The spare pitch facilities would be made accessible to the community, as would social and function, fitness and leisure, sports therapy and meeting room facilities within the stadium.” Staying at its current Pilot Field ground is not viable in the medium to longer term due to the cost of ongoing maintenance and repairs. Council officers have been supportive although they have yet to present the plan to the Cabinet or Full Council for consideration, the club says. HOT has been told that the matter is on the agenda for the Cabinet’s meeting on Monday 5 November. Meanwhile the Horntye Park charitable trust is also planning to move. They “…are already engaged in the process of bringing to fruition…alternative and exciting options for the Charity’s future provision of sport and recreation in the town,” they say, and in due course will make an announcement about their preferred scheme. 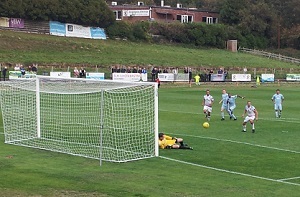 Action from the Pilot Field: the U’s miss a penalty in the recent 2-4 home defeat to Whyteleafe in the FA Trophy. The two sports organisations were previously partners in the Combe Valley Sports Village project, which proposed building new sports facilites and a housing estate on the Bulverhythe recreation ground, which is regularly subject to flooding. They were left in the lurch just before Christmas last year when their developer partner, Keepmoat Homes decided to pull out of the project and, unable to find another developer to take its place, have amicably resolved to abandon the project and go their separate ways, according to the Horntye trustees. In addition to housing on Bulverhythe rec, the previous project envisaged building housing on both the HUFC’s current ground, the Piot Field, and Horntye Park. HOT understands that housebuilding on the Pilot Field is also part of the football club’s new plan, though chairman David Nessling said he was unable to comment on the matter. Both the Pilot Field and the old helipad site in Tilekiln are owned by the council. Assuming that the Pilot Field site is sold to HUFC, advocates of a fit-for-purpose planning system in Hastings tell HOT they hope to see the council ensure that it gets a fair share of the uplift in the value of the land, which will accrue when it gets planning permission. At present such spoils go to landowners and developers, a situation which has been criticised by council leader, Peter Chowney. 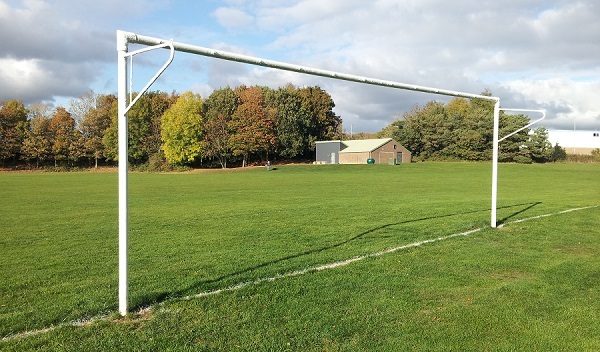 The council is now planning a housing development on the lower tier of Bulverhythe rec.